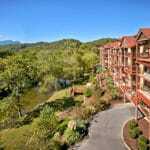 When you are visiting the Smoky Mountains, there is no better place to stay than in our 3 bedroom condos near Pigeon Forge. Experience all the comforts of home while making new and exciting memories with your loved ones. For your convenience, we’ve put together a list of some great perks you’ll receive when you...Keep Reading.